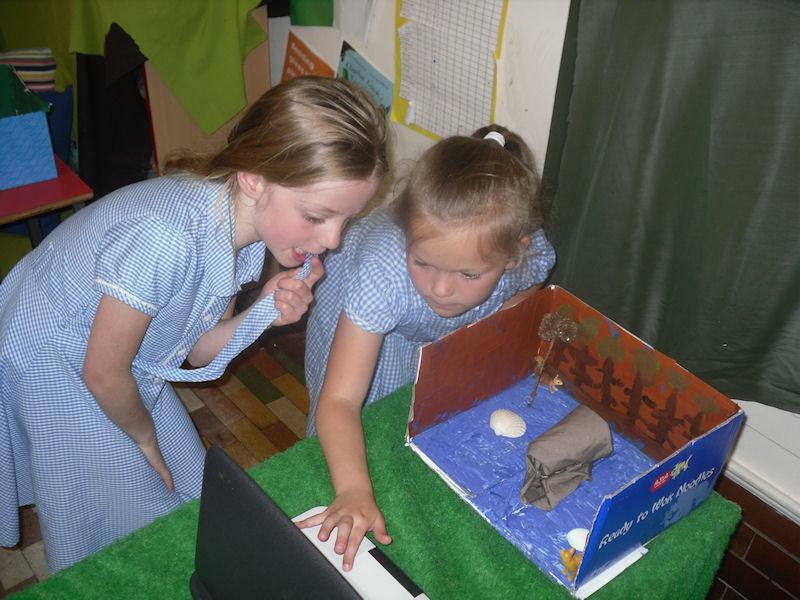 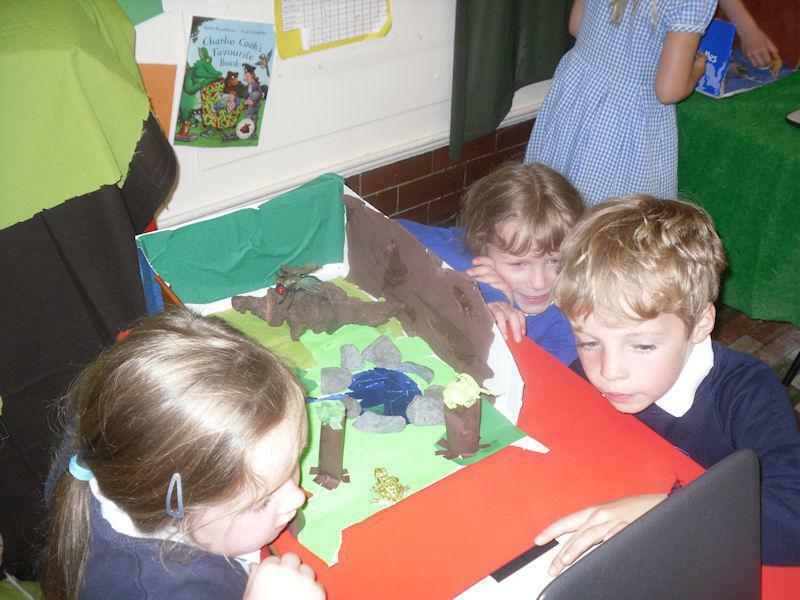 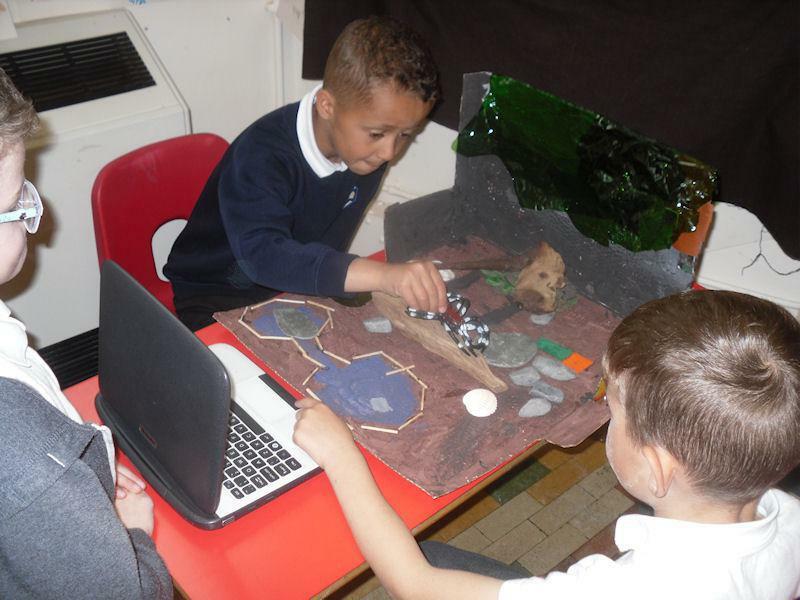 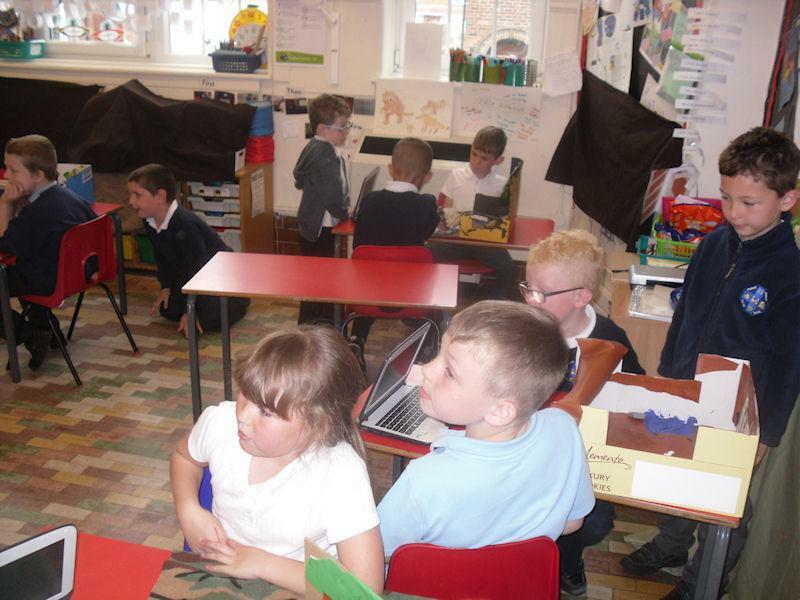 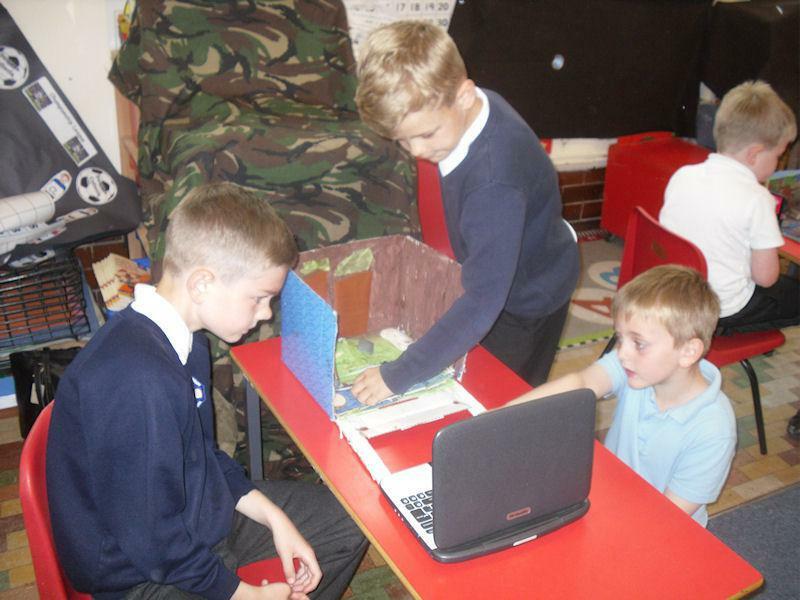 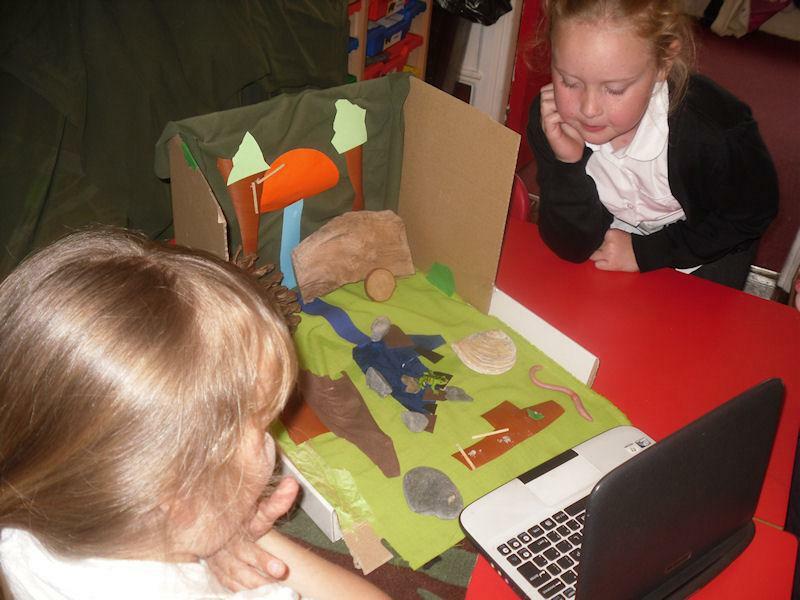 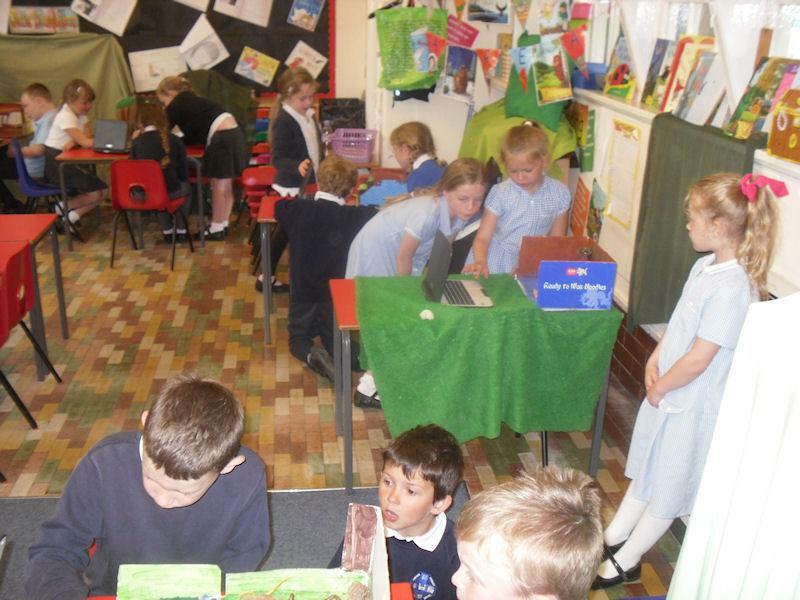 Using stop-motion movie-making tricks (just like Aardman Animation's "Wallace and Gromit"), Y2 children made their own movies by creating settings and characters, and then using stop-motion software to bring them to life. 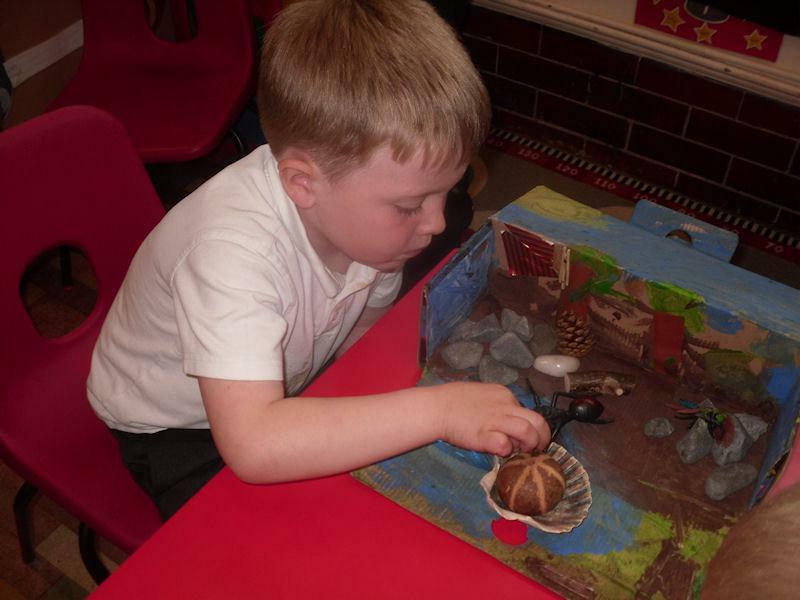 Make it as interesting as possible using different materials. 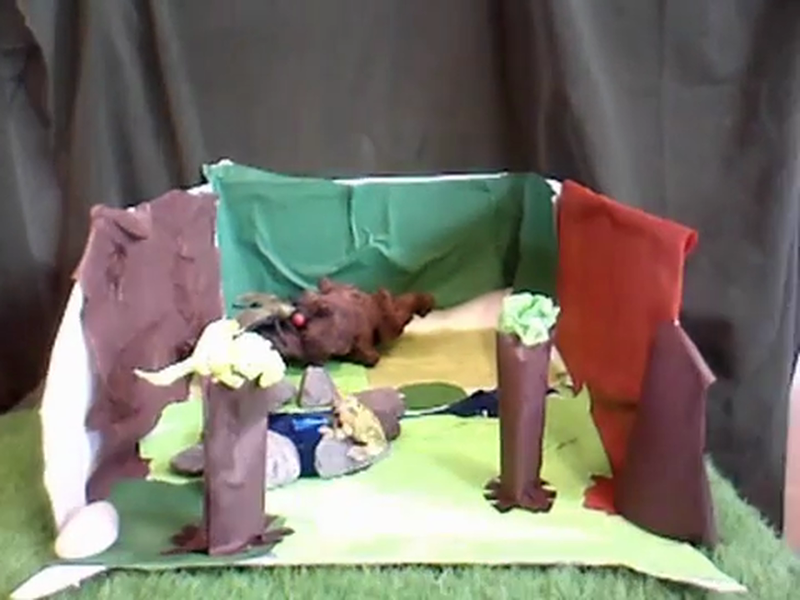 You have to move the models a step at a time, and capture each frame of animation. 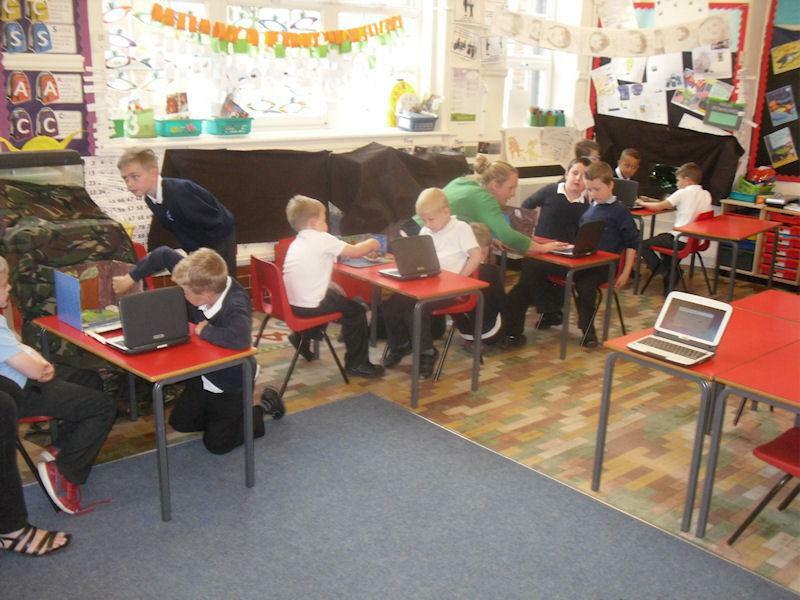 Then you have to delete the frames which have your team members' arms, hands, fingers and heads in them!